Working on your vehicle. Love my jaguar, was cheaper than. Vehicle has 167000 miles so it may not last much longer. Problems I have had is, the water pump went out. I thought major cost. But found that rockauto had parts that was not arm and leg. Got pump and gasket for 26. 00. Watched a youtube video on how to change the water pump on a 2002 jag. Followed directions and I had it done in 45 min. Other than that have not a lot of problems. Change oil every 3000 miles, wash it, and it keeps on trucking. I love my Jaguar: a picture of reliability and comfort! I really love my Jaguar. I have owned it for over a year now and we only had one problem with a belt breaking right after we purchased it used. It has been reliable in the snow and cold as well as the heat. I've driven it on icy roads and it has handled well! The interior is beautiful and is very comfortable and provides all of the comforts! 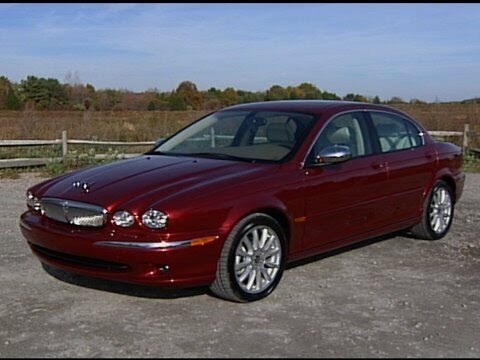 I love my Jag and would definitely still purchase it again! I love the sun/moonroof. . . I really like the performance and "pick up" this car has. . Great gas mileage. . The car is also a huge attention getter! The only drawback about this particular model is that the back seat is extremely limited. . . You'd have to be a briefcase, to fit back there! What can go with with a Jaguar X Type? - What has gone wrong with my X-Type since I’ve owned it? On certain sedans, under some circumstances, the power circuit that feeds the direction indicator system could fail. This could result in the driver being unaware that the external turning indicators are not operating because the internal "tell-tail" light on the driver's instrument panel continues to work normally. The loss of rear turn signals could fail to warn a following driver that the vehicle is turning and could result in a crash. Dealers will replace the General Electric Module. Jaguar has not yet provided an owner notification schedule. Owners may contact Jaguar at 1-201-818-8500.